What to look for when buying a used Chrysler Town and Country? The Chrysler Town & Country was a minivan produced by Chrysler as an upscale/luxury version of the Dodge Grand Caravan. It was introduced in 1990 and produced until 2016, when it was replaced by the Chrysler Pacifica minivan for 2017. The Chrysler Town & Country is mechanically related to the Dodge Grand Caravan and Plymouth Voyager as well as the short-lived Volkswagen Routan. In various model years, the Town & Country has been offered as a front-wheel and all-wheel drive minivan seating up to eight passengers. The first-generation Town & Country came in 1990 as a luxury option to the Caravan and Voyager models already offered by other Chrysler brands. 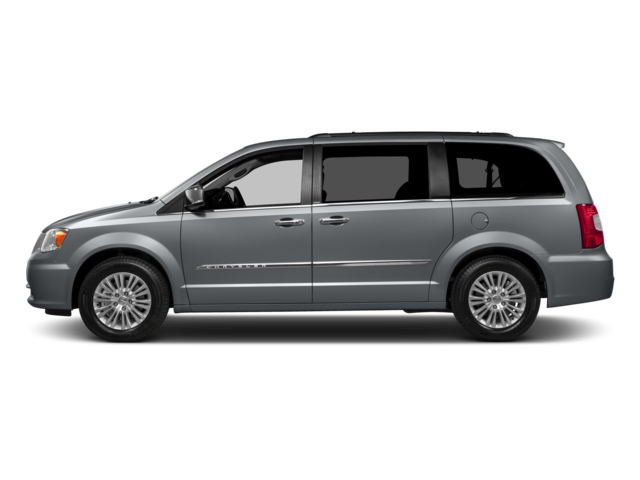 The new Town & Country also introduced the new 3.3-liter V6 Chrysler was offering in the market. The first-generation was replaced with the second-generation in 1991, with a few styling upgrades and several interior design changes meant to cater to road comfort and family use and safety. During this generation, the 3.8-liter V6 was introduced as well. The third-generation Chrysler Town & Country came in 1996 as yet another upgrade for the competitive minivan market of the time. A new platform was used and allowed the introduction of a second sliding door, on the driver's side, for more convenience. Trim levels were also introduced, allowing market appeal for a broader base of buyers. The 3.3L and 3.6L V6 engines from the previous-generation were retained, with improvements. In 2001, the fourth-generation Town & Country entered showrooms. Trim levels continued and as the Plymouth nameplate was dropped, the Voyager models were merged into the Town & Country line as "short wheelbase" options. A new 3.8L V6 was introduced as an engine upgrade option, replacing the 3.6L, and the four-speed automatic transmission was revamped for improved fuel economy. The fifth- and final generation of the Chrysler Town & Country was introduced in 2008 as the premier and best-selling minivan on the American market. Several engines were now available, depending on market and model, and interior upgrades meant more advanced entertainment options such as dual screen DVD players for the rear passengers. During this generation, production in Missouri was dropped and moved entirely to Canada. Production of the Chrysler Town & Country ended in 2016 when the minivan was completely redesigned from the ground-up as the new Chrysler Pacifica, introduced in the 2017 model year. The Town & Country has been a good-selling minivan throughout its lifespan, but has also suffered from a high rate of consumer complaints. The 2011 model is noted for engine issues at mid-mileage (50-60,000 miles) and electrical problems haunt many of the model years during the fourth-generation of the van. The fifth-generation often has small electronics issues that are more nuisance than serious problems. What is the average price for Used Chrysler Town and Country? How many are for sale and priced below market? Where does used Chrysler Town and Country rank in comparison to competitor vehicles? What Is The Average Price Of A Used Chrysler Town And Country By Model Year? What Is The Average Price Of Competitor Cars To The Used Chrysler Town And Country? What Is The Average Price Of Used Chrysler Town And Country In The Top 10 Cities?